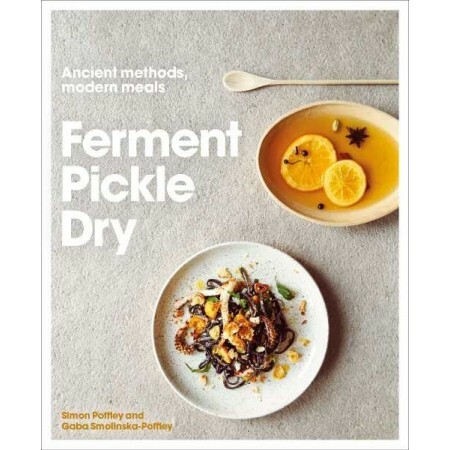 Ferment, Pickle, Dry: Ancient Methods, Modern Meals offers a simple and exciting guide to fermenting, drying and pickling food, as well as the dishes you can make with your newly preserved ingredients. Written by Simon Poffley and Gabriela Smolinska-Poffley. Each recipe goes beyond the central preserved element to suggest a complete modern meal or snack. 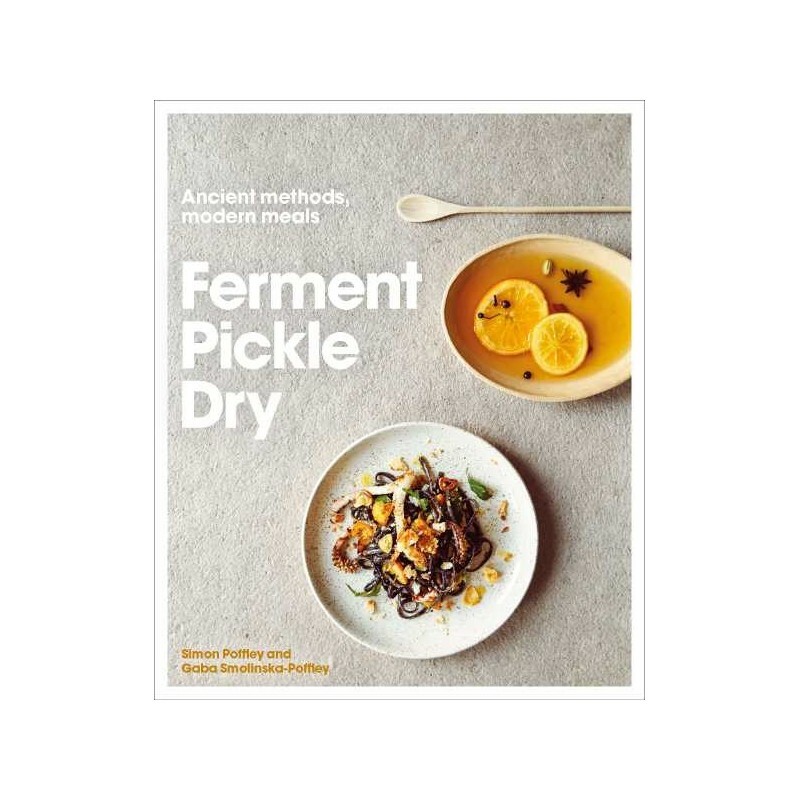 Recipes range from classics such as yoghurt, pickled gherkins and dried mushrooms, to clever creations such as carrot kimchi and garlic pickled in honey. Dishes cover simple meals (such as a sauerkraut rosti), to more elaborate recipes, including pickled orange and squid linguine. The book covers the practical techniques and essential kit you need, and guides beginners as well as challenges seasoned preservers. It explores the art of ancient cooking methods, which has sparked the interest of hot chefs and trailblazing restaurants, as well as experimental foodies. Written by Simon Poffley and Gabriela Smolinska-Poffley. Hardcover. Colour photography. 208 pages. 23cm x 18.5cm.